Within the confines of Lake Park, the North Point Lighthouse sits high on a bluff over the lakefront. The original light was built in 1855, and the current tower was in place 33 years later. 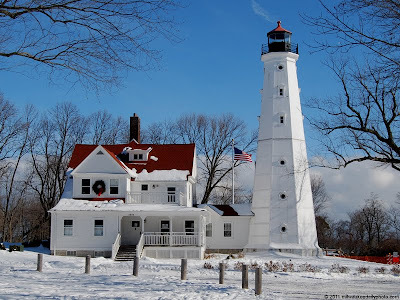 The Great Lakes area has wonderful lighthouse. Great photo...so clear and crisp.